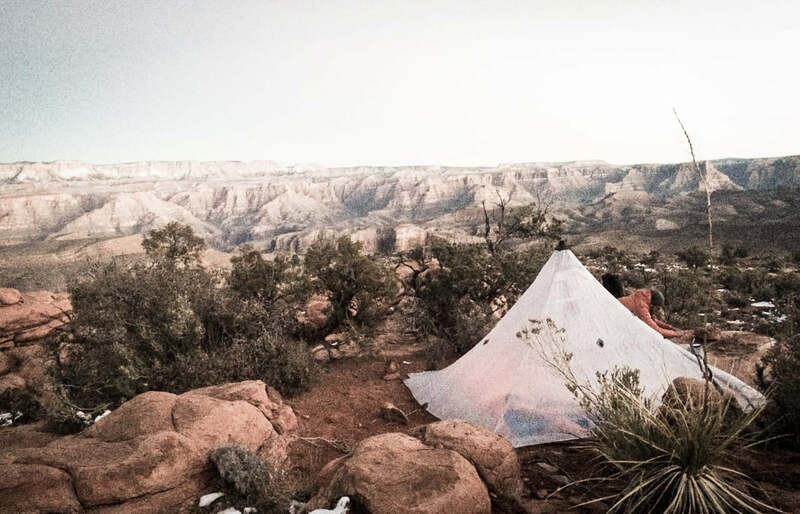 Elyssa Shalla and Matt Jenkins have completed a thru hike below the rim of the Grand Canyon. A winter thru hike of the Grand Canyon from the Grand Wash Cliffs to Lees Ferry encompasses a vast range of climates and terrain over the course of an approximately 50-60 day walk. Between mid-December and early-February we walked a primarily off-trail, seldom travelled, rugged, and mostly waterless route below the north rim. We got hammered by multi-day snowstorms and experienced extended periods of frigid, icy weather. We traversed steep canyon slopes covered with talus and cacti, riparian areas choked with tamarisk, and an uncountable number of cliff bands. There were no “gimmes” in the Grand, and its relentless terrain required lightweight gear that could withstand two months of demanding use. Planning and packing for this kind of trip required a honed and hybrid skill-set encompassing ultralight backpacking, rock climbing, canyoneering, expedition and winter travel skills. Carrying the wrong, or too much, of any type of gear in our Hyperlite Mountain Gear Southwest 3400’s would have left us too cold, wet, bogged-down, or cliffed-out to continue the nearly 600-mile route we intended to complete. Spectacular ledge camp across from Granite Park, Grand Canyon, Ariz.
Ultralight backpacking isn’t merely an exercise in reducing pack weights to an arbitrary number. 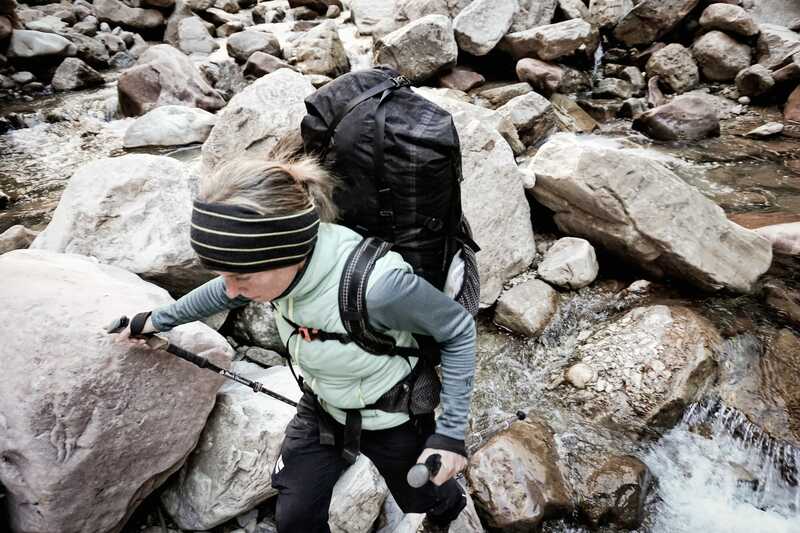 It is a methodology built around multi-functional systems and minimalist ideologies so that every piece of lightweight gear carried on a trip serves a critical and/or a multi-functional purpose. 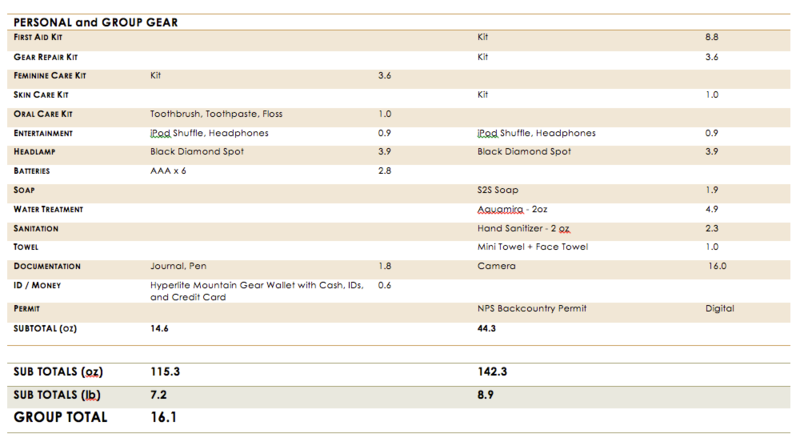 Excess and luxury are minimized; and function and utility are maximized. Everything must be simple, durable, repairable, and weather resistant. The post Ultralight Winter Backpacking Through Canyon Country appeared first on Hyperlite Mountain Gear Blog.